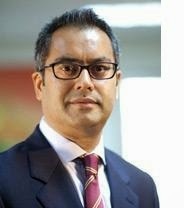 The insurance watchdog in India Insurance Regulatory and Development Authority has rejected the appointment of Mr. Shah Rauf as Managing Director and Chief Executive Officer of insurance joint venture Tata AIA Life Insurance, citing his accounting and governance failures at Aviva in Romania as the head. According to a person close to the development, said that Mr. Rouf 's candidature was rejected after the regulator learnt that the regulator in Romania had barred him from insurance industry on governance and accounting failures. It's a big blow for the already struggling insurer. Despite, overall life insurance industry witnessed 11.56 per cent growth in new business premium for the fiscal year which ended on March 31, 2014, Tata AIA Life registered 22.7 per cent year-on-year drop. Tata AIA Life brought Mr. Rauf as CEO designate, after Mr. M. Suresh quit the firm as Managing Director and CEO in March. Before this, Mr. Rauf was the Chief Executive Officer of AIA Sri Lanka. Tata AIA Life Insurance Company is a joint venture between Tata Sons and AIA International. Tata Sons holds 74 per cent stake in the JV, while AIA International holds the rest 26 per cent.